Age, location and weather can compromise the integrity of slate roofs. Common repairs required for slate roofs include slipped and broken slates which require replacement. At Apex Roofing we are associated with several reputable slate suppliers which enables us the opportunity to best match your existing slate type and colour. 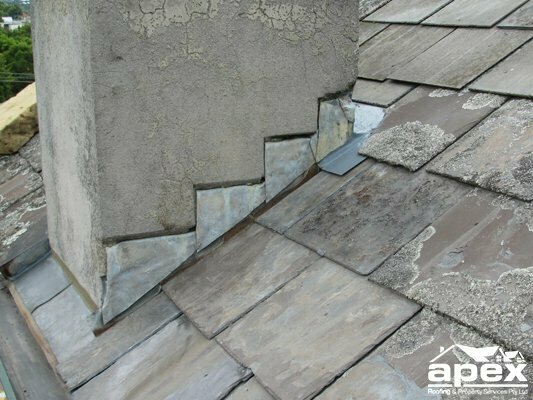 Wear and tear to slate roofs also commonly leads to the deterioration of valleys and ridge cappings. Apex services extend to re bedding and re pointing of ridge cappings, which can both improve the overall appearance of your roof and ensure many years of protection. 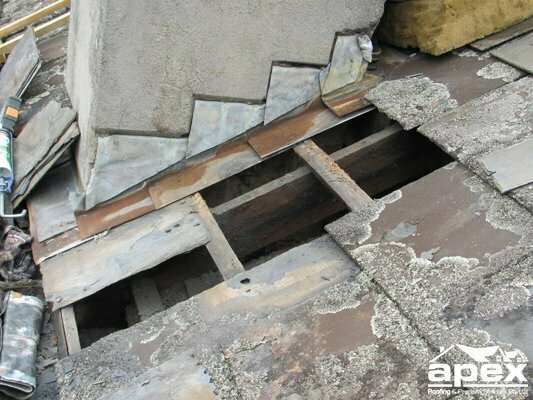 Other roof repair services available include replacement of rusted box gutters and valleys, repairs to chimney flashings and leadwork repairs. The team at Apex Roofing have the experience and knowhow to carry out any roof repair requirement.